You don't have to convince me - pretty bulletin boards are my JAM! I would spend HOURS on just one bulletin board. I obsessed over every detail - I would even get almost all the way done - have a new inspiration and pull it all down and start all over again. When I was done I'd sit back and pat myself on the back for a job well done. Then, I would wait for the "ooos and the ahhhs" that would follow from fellow teachers as they passed by my classroom. But - all that fame went to my head - And I eventually fell from cloud nine. I remember one year, I had made a particularly beautiful display (ps - I'm not really this big-headed in real life - I'm just doing it for the effect😁) - and I made a reference to something on a bulletin board that had been up in our classroom for weeks - when a student then responded with "what bulletin board?" Does this all sound familiar? If so, I want to give you some suggestions for how to get MORE out of your bulletin boards so that they aren't just some pretty display in the back corner of your classroom. When possible, have students actually create portions of the bulletin board. 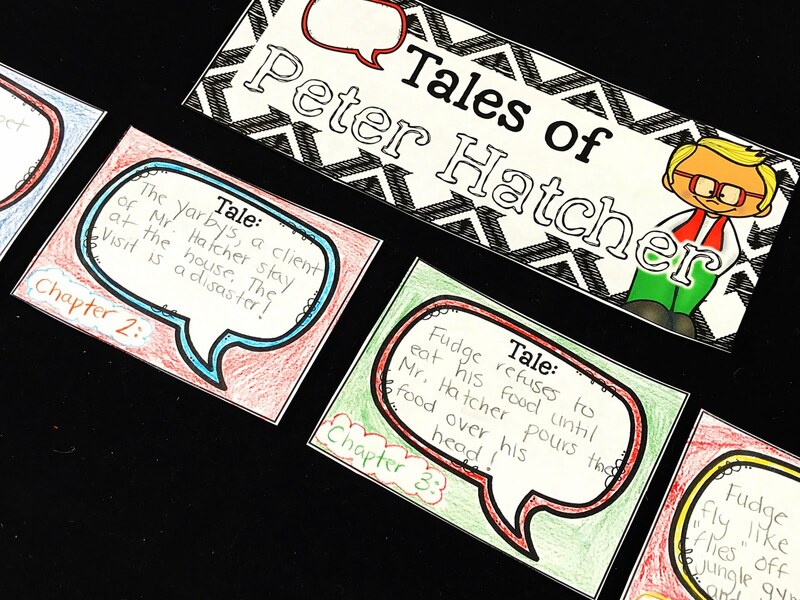 For example, in my Tales of a Fourth Grade Nothing novel unit, I have students add a "tale" card to the board as they learn about the adventures of the main character. At the end of each lesson, I have a student volunteer complete the card and add it to the bulletin board. You can imagine the eagerness of the students to have their card featured on the board! When students "build the board" with you, they are taking ownership of what they have learned and begin to use the board as a reference, not just a decoration. Another easy way to breathe life into your bulletin boards is to use them in your daily review. 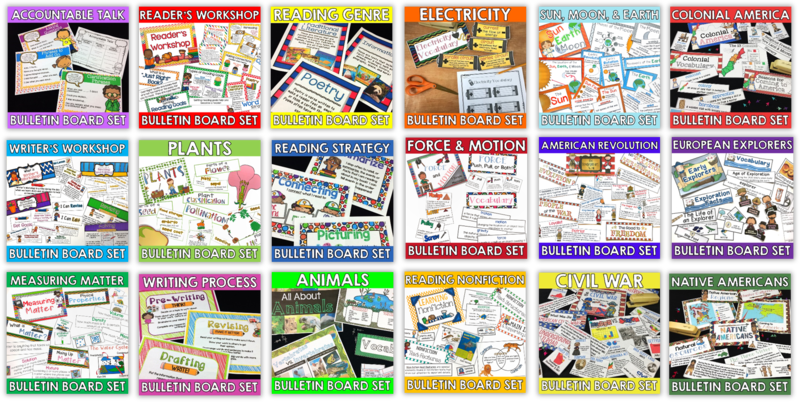 At the start of each day's lesson, turn your students' attention to the unit bulletin board. Use the pieces previously added to the board to review the concepts already learned in the unit so far. This again encourages students to use the board as a reference. Then, at the end of your lesson, come together as a class again to add new pieces to your board. As you add those pieces, reiterate what they learned that day, review vocabulary words, events in your book, events in your timeline, and so on. 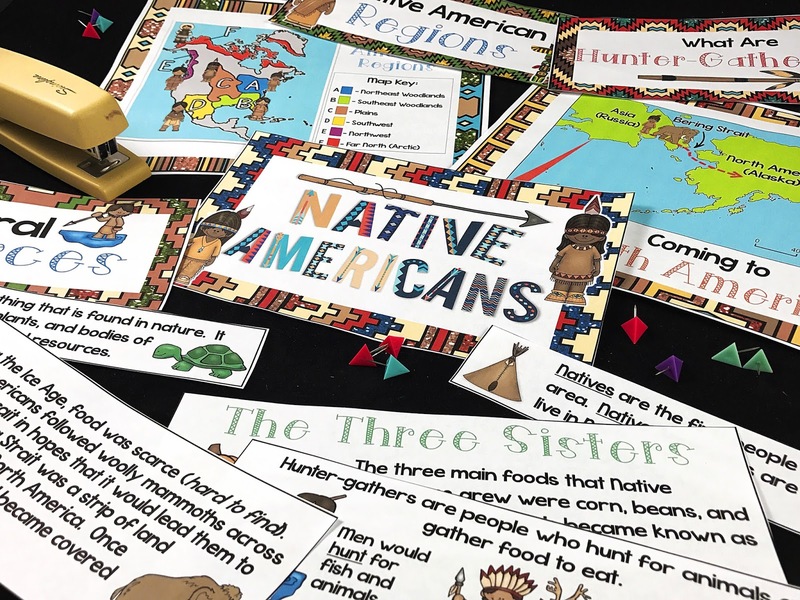 Once in a while reverse this process by having your students take charge and play the role of the teacher, having them use the bulletin board to reteach what they have learned to their classmates. 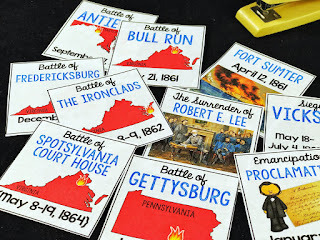 Extend the life of your bulletin board by using them for review games at the end of your unit. Doing this will bring the bulletin board process full circle. 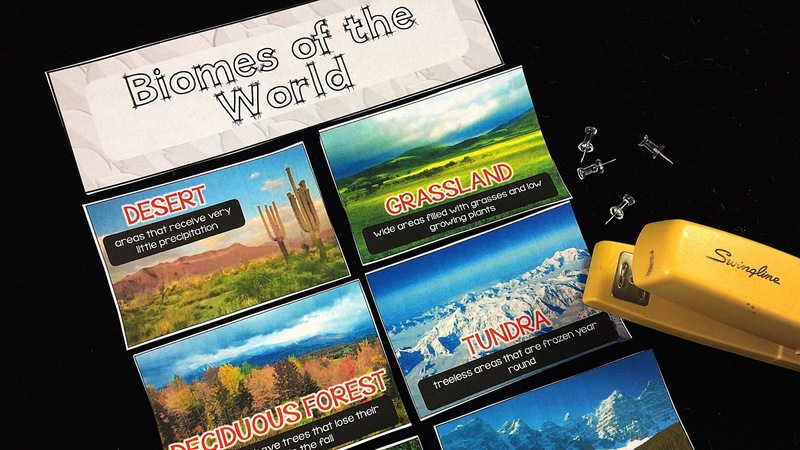 If you've spent the time building the board with your students throughout your unit, then using the final product (your completed board) as a game, allows your students a chance to appreciate how far they've come in their learning. 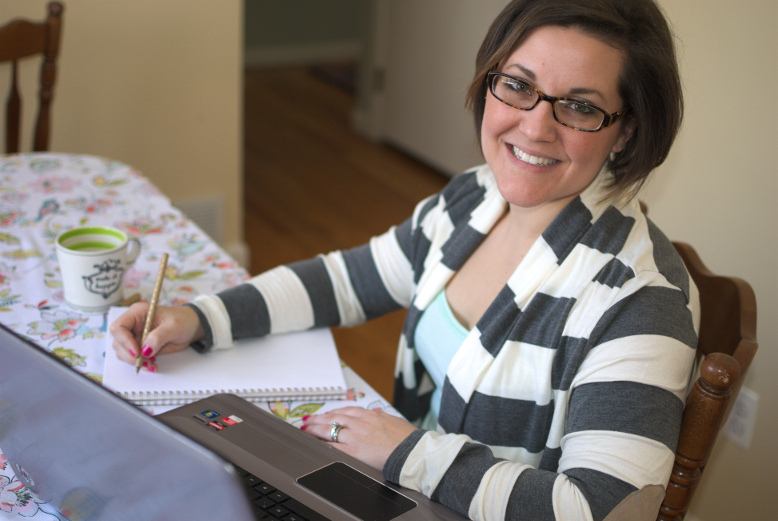 Teacher Prep: Prepare a set of review questions that can be answered using information from your unit bulletin board. Divide students into 2 teams. Each team gets a fly swatter. Have a member from each team come to the front of your bulletin board with their fly swatter. Ask the students with the fly swatter one of your review questions. Students must wait until the entire question has been read. The first student to SWAT the correct answer as it is found on the bulletin board, earns 1 point for their team. TIP: Make several different questions that will have the same answer so that students don't begin to think that once a spot on the bulletin board has been used, they will not need to refer to it again. 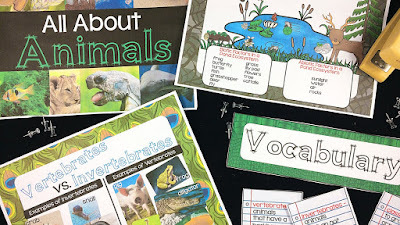 For example, if I was reviewing biomes on my animals and ecosystems bulletin board, I could create two questions that would cause the students to SWAT "desert." One question could be "which biome would most likely have animals that can survive without a lot of water for long stretches of time." A second question could be "which biome has 10 inches or less of rain annually? Both questions would require the students to SWAT "desert" on the bulletin board. 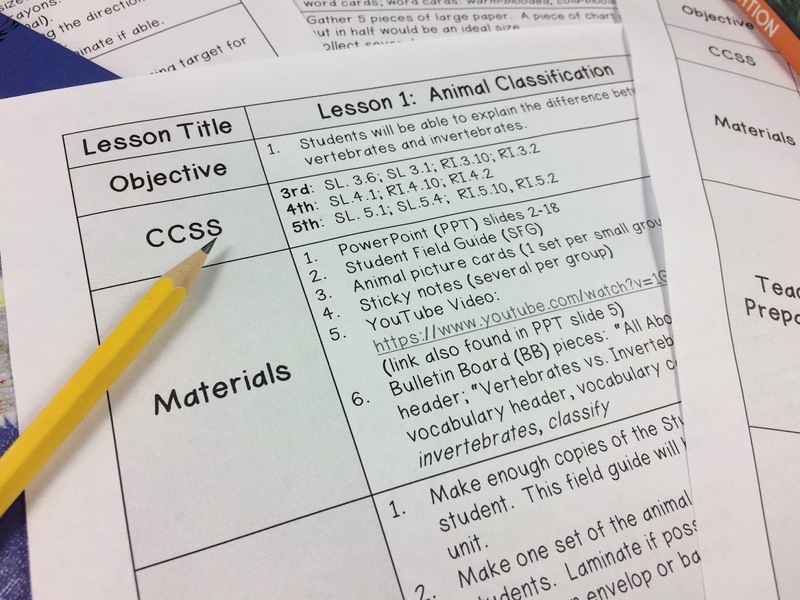 Teacher Prep: Create a scavenger hunt recording sheet with questions that can be answered using information from your bulletin board. 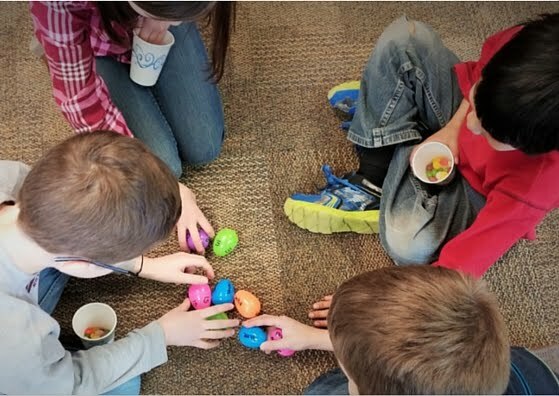 Provide each student at the center with the prepared scavenger hunt sheet. Students use the bulletin board to find all the answers to the questions on their sheet. 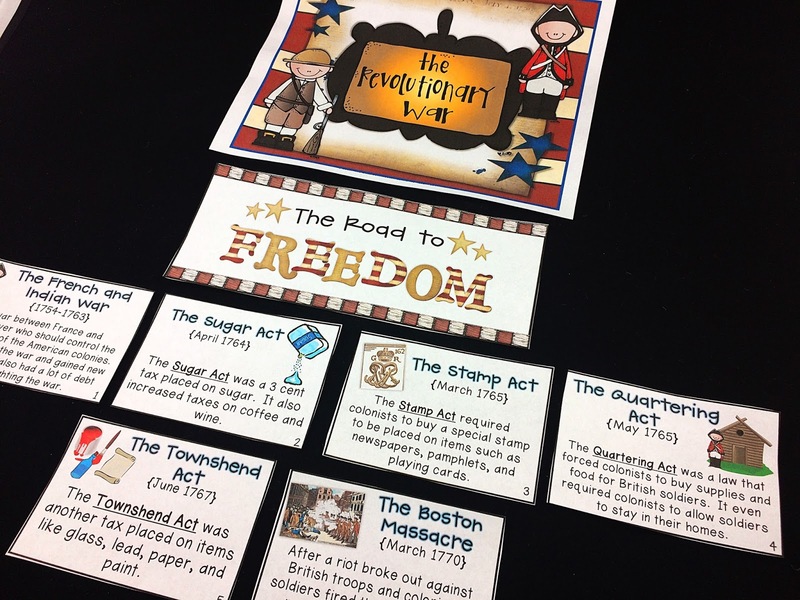 For example, on the portion of the American Revolution bulletin board shown above, one of the questions on your scavenger hunt sheet might be "True or False? - The Quartering Act placed tax on items like glass, lead, paper, and paint " Students would then indicate that it was a false statement and could correct it to be Townshend Act. TIP: Have a spot on your scavenger hunt sheet for students to indicate where on the bulletin board they were able to find their answer to prove that they are right. In the example shown above students could indicate that they found the answer on timeline card #5. Teacher Prep: Decide on a secret code word for your bulletin board. The secret code should be related to your unit. For example, if you're teaching about Early European Explorers, your secret code word might be "voyage." Write each letter of the secret code word on a small card (as shown below). Then, create several question cards, one question card per letter of your secret word (ex. If you were using the secret code: voyage, you would need a total of 6 question cards). You can also put all the questions on one sheet instead of individual question cards. Place one letter card on your bulletin board next to one of the answers from the question cards. (Optional: Place some incorrect letters not from your secret code on the board as well to be tricky!) For older students, you may want to create a longer phrase instead of a word in order to create more question cards. Provide students at the center with the question cards/sheet. Students will search to find the answers to the questions on the bulletin board. Once they find the answer on the board, they will record the letter found on the bulletin board next to that answer. Once students have answer all of the questions, they will need to unscramble the letters that they've collected to form the secret code word or phrase. 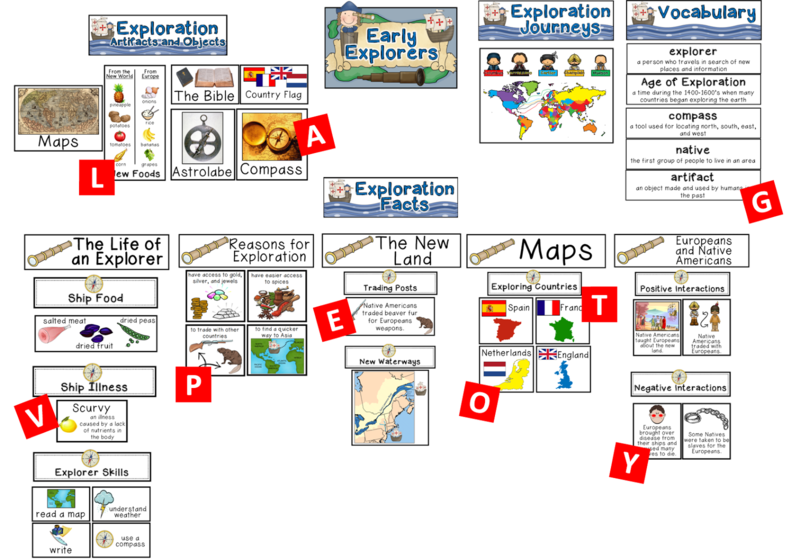 Teacher Prep: Remove all of the pieces from your unit bulletin board EXCEPT for any main headings. Create a question related to each bulletin board piece that you are removing. For example, for a force and motion bulletin board a question could be: "Who has the vocabulary word that explains why a pencil falls to the ground when I drop it." The student with the 'gravity' vocabulary card would answer "I have 'gravity' which means the natural force that pulls objects toward the earth." Provide each student with a piece from the bulletin board. If there are not enough cards, have students partner up. If there are more pieces than students, allow some students to have more than one. Ask the review questions that you have prepared for each bulletin board piece in the form of "Who has...."
The student who has the corresponding bulletin board piece will respond with "I have..."
If the student is correct, re-add that piece back to the bulletin board under the correct heading. When the game is complete, your bulletin board will be complete, as well. 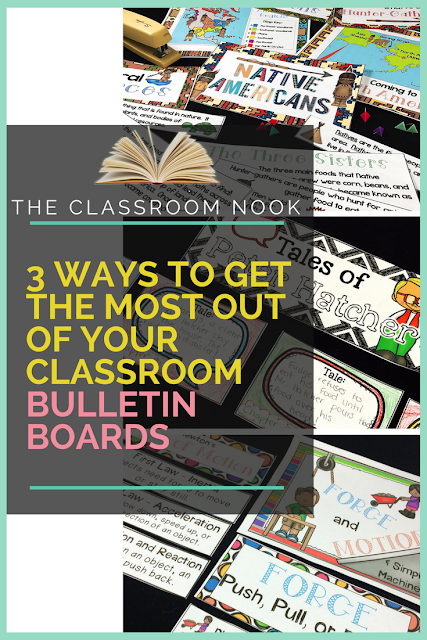 There you have it 3 ways to make the most out of your bulletin boards! Now go out there and make those bulletin boards work for YOU!